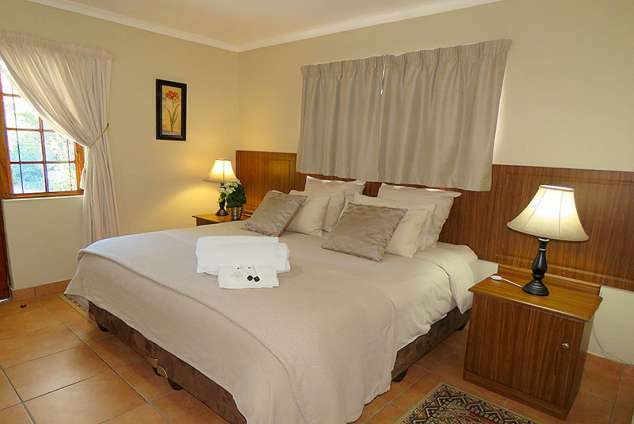 Butterscotch Bed and Breakfast - Cowies Hill Accommodation. The accommodation is fully fenced with remote gate access and secure off street parking. Enjoy relaxing in the beautiful, well-developed garden. Watch the abundant bird life from your patio or have a dip in the sparkling pool. Fully fitted kitchen, open plan lounge / dining room? Full English or Continental breakfast served in your room or on your own patio. Exit the N2 to the N3 (Pietermaritzburg) at exit 165. Turn right at robot onto St James. 3rd Robot turn left into Buckingham Tr. 2nd Robot turn right into Blair Athol Rd. Take 1st off ramp (Exit 13) onto Cowies Hill / Dawncliffe. At the stop street travel straight, to Old Main Rd, (parallel to the highway). Woodside Rd forks, keep to the left (Balmoral Rd). Pass Shongweni, Hillcrest and Pinetown. The M13 splits just after Pinetown- keep to the right travel towards Westville. Take 1st off ramp after split (Exit 13) Cowies Hill / Dawncliffe. Turn left into Old Main Rd. 13029 page views since 03 Aug, 2009.